You’ll have to wait until 2014 to see the next installment of the Star Wars saga so you have plenty of time to brush up on all your sci-fi trivia between now and then. What better way than with a copy of the new book The Science Fiction Universe… And Beyond by Michael Mallory. And we’re happy to announce that thanks to our partners at Syfy we have a copy of their comprehensive compilation to giveaway. This dynamic book chronicles everything from George Melies’ iconic 1902 film, A Trip to the Moon, to the most well-known superhero alien, Superman. Dive into the nostalgia and excitement of classic favorites like Planet of the Apes and Tron, and re-familiarize yourself with newest titles: The Avengers, Transformers and Avatar. Although we only have one book to give away, you’re in luck. Syfy will be airing its 20th Anniversary Special on Monday, December 10 at 9 p.m. EST/8 p.m. Central, featuring many of the familiar faces, stories and sci-fi staples seen in science fiction and related imagination-based genres. 1. Program Description/Eligibility: No purchase necessary. This promotion is open to Pop Culture Passionistas readers who are legal residents of the 50 United States or the District of Columbia. The promotion begins on December 3, 2012, and ends on December 12, 2012 ("Entry Period"). Only one prize will be awarded. 2. How to Enter: Send an email with the subject THE SCIENCE FICTION UNIVERSE GIVEAWAY to popculturepassionistas@gmail.com. The email must contain your full name and complete mailing address for prize delivery if you are declared the winner. You can enter once per day. 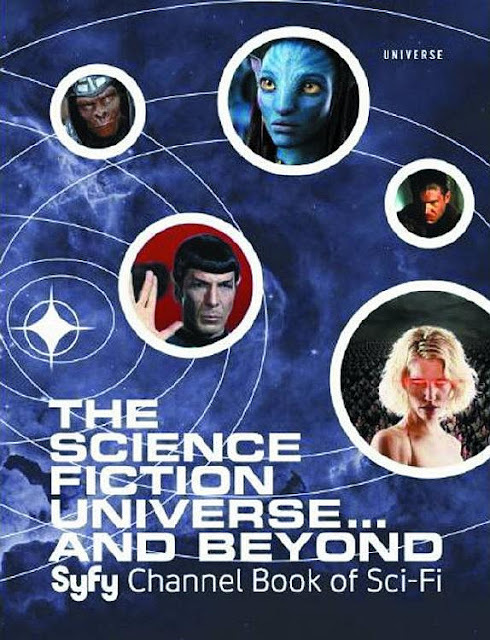 On December 13, 2012, one winner will be selected in a random drawing from eligible entries received to win a copy of the book The Science Fiction Universe… And Beyond. Random drawings will be from among all entries received during the entry period. No responsibility is assumed by Pop Culture Passionistas for lost, late or misdirected entries or any computer, online or technical malfunctions that may occur. Odds of winning a prize depend on the number of eligible entries received. 5. Winner Notification: Winner will be notified by email and announced on the Pop Culture Passionistas website on December 13, 2012.